This Zimlet enables you to set a reminder on emails. How it Works: The Zimlet displays an "Email Reminder Setup" dialog whenever you flag an email or conversation. 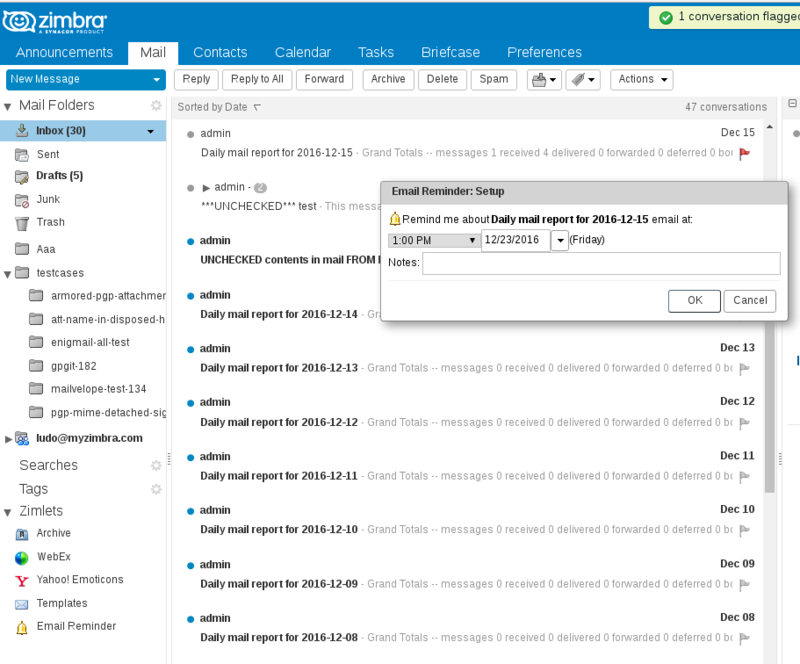 The dialog allows you to create an email reminder. You can also drag-and-drop the email onto the Zimlet to create a reminder. Details: Calendar is used to store and show the reminders. A separate calendar called "Email Reminders" is created with free/private appointments that represent the reminders.